As you all know winter is here, but that does not mean children need to stay inside all day. It is important for children as long as they are dressed in the appropriate clothing to still have the opportunity to explore the outdoors. Something many children love exploring is ICE. A frost in the morning provides a great starting point and conversation about ice. Where it comes from and why it melts? 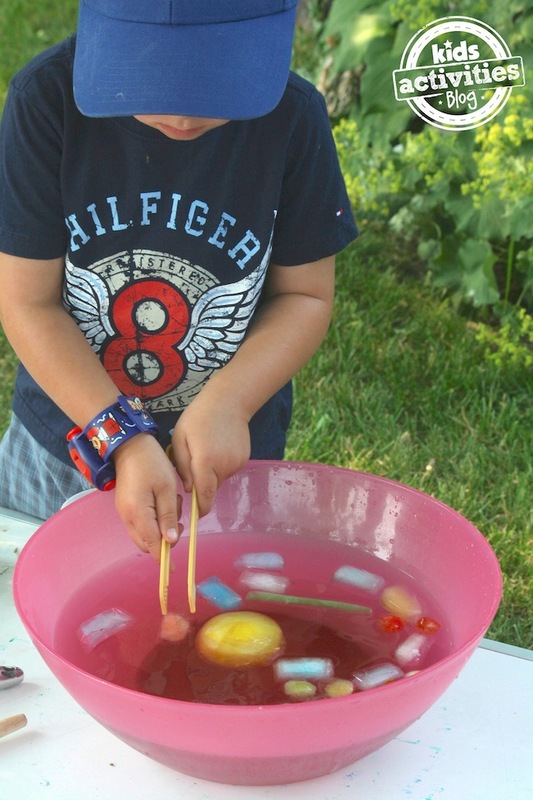 Playing with ice is also a fantastic sensory opportunity for children of a range of ages. Below are some ice activities you can explore with children. Fill ice cream containers or other containers with a small amount of water, leave outside overnight or in the freezer allowing a thin sheet of ice to form. Ask the children what is in the bottom of the containers, seeing if they are able to get it out. Talk about how it feels, what it looks like and what sound it makes when dropped on the ground, or stood on. Use ice cube trays and food colouring to freeze coloured ice cubes or other shapes. Played with in a bowl or tray children can observe colour mixing as the ice melts and the colours are released. These ice cubes can be used a number of ways. Children can practice motor skills by transferring them, using varied tools such as tongs or spoons. Children can challenge themselves to build with them depending on their size and shape. 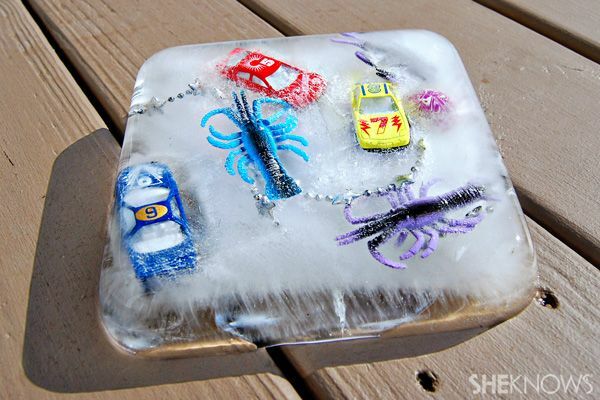 Gather natural resources from outside, or small plastic toys, make a i-spy block of ice. Children then can use water and paint brushes or small toy hammers to excavate the objects. Its important to remember to freeze the water and objects in stages or the objects will all sink to the bottom.